Named by The Economist as one of 20 Living Polymaths, British pianist Stephen Hough is a true renaissance man – a top concert pianist, writer, composer and painter. He has won global acclaim for his outstanding interpretations of the piano repertoire. 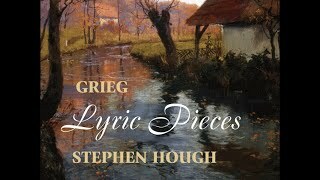 On this, his latest recording, Hough has made a selection of pieces by Grieg that encompass every nuance of emotion. The variety of pieces on this album showcase the brilliance of Grieg's writing and Hough's own mastery of the instrument – his playing evokes the full range of human feeling and experience, and that's not an easy thing to do.